The Chiropractic Collection has been designed exclusively for Sleepy’s to ensure the utmost support for our sleeping customers. Each mattress in the collection has been tailored to relieve pressure points and support spinal alignment for an amazing night’s sleep. Sleepy's and SleepMaker have worked together to design and carefully select mattresses which then go on to be tested and endorsed by the Chiropractors' Association of Australia. We want our customers to reclaim their amazing and develop a positive attitude to sleep. By creating a beautiful, serene bedroom you can start to encourage this positive sleep attitude and the first step may be a new mattress. If your current mattress is placing stress on your back, hips or shoulders, our Chiro Dynamic could be the answer. We have used the best support core, added FusionGel Plus which reduces body contouring, allowing freedom of movement as you sleep, and helps to improve temperature management with complementary comfort layers, to ensure we are offering the very best solution for our customers. The Chiro Dynamic has a pillow top, comfort and support technology with the 5 zone continuous coil spring support cradling your hips to help reduce stress on your back as you sleep. Sleeping healthy is easier with Sleepy's and the CAA collection! If you don't have a warm fuzzy feeling about going to bed every night then you need to consider developing an evening "sleep ritual". A great place to start is to appreciate your bedroom, including the bed linen, lighting, scent and of course your mattress. 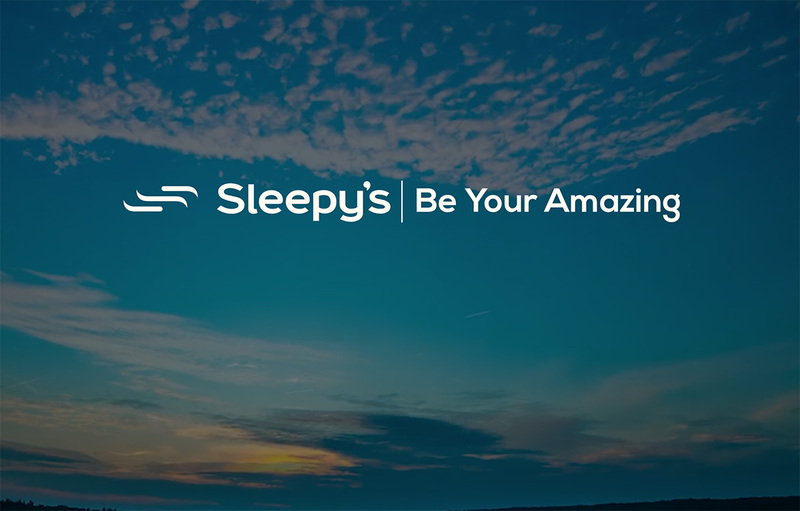 Sleepy's and SleepMaker have collaborated for more than 10 years on our exclusive Chiropractic Collection to make sure all of our customers are well supported and love their bed! Our Chiro Grand range has been tested and endorsed by the Chiropractors' Association of Australia. We have used the 5 zone continuous coil spring support which will cradle your hips to help reduce stress on your back as you sleep. To this support core we add luxurious layers of Memory Foam, FusionGel Plus and Graphene Infused Memory Foam which work beautifully together to offer incredible comfort, support your resting body, keep circulation moving by gently easing the pressure where it is needed the most and help to improve temperature management. This is a great start to creating a blissful sleep environment. Our Chiro Motion is a great introduction into our Chiropractic Collection and is consistently one of our top selling mattresses. If your hips and shoulders rest in an unnatural position while you sleep you could be hindering circulation and placing stress on your lower back. SleepMaker and Sleepy's have designed and selected a range of mattresses with back support and sleep health in mind. This range has so many benefits that even the Chiropractors' Association of Australia agree and have tested and endorsed our Chiropractic Collection. The continuous coil spring support is the most robust spring in the market and has 5 zones to cradle and support your resting body. Sleeping healthy is easier with Sleepy's and the CAA collection! Rest, recover, restore with Sports Performance Restoration. Our bodies are charged with energy every day and can reach as high as 30,000 volts. The scientifically proven Intense™ fabric used on the top panel of our Sports Performance Collection allows for a deeper and more relaxed sleep by freeing the body of static tension. Under this top panel we have layers of premium foam and Gel Infused Visco to provide extreme comfort without excessive heat build-up allowing you drift into the critical delta sleep where body restoration occurs. We have used the best support core, a 5 zone continuous coil spring cradling your hips to help reduce stress on your back as you sleep. Our Sports Performance Collection is exclusive to Sleepy's and has been tested and endorsed by the Chiropractors' Association of Australia. There are three crucial elements to good sleep and they include duration, continuity and depth. By creating a welcoming environment in your sleep ritual with a supportive mattress, you may just start to prioritise sleep. If your current mattress is placing stress on your back, hips or shoulders, our Chiro Connect could be the answer. The support core in this range is SleepMaker's Australian made pocket spring which has 5 zones to conform to your resting body. Each individual pocket acts independently providing defined support to your body and does not transfer your movement across the bed to your partner. There are layers of premium foam and Gel Infused Visco to provide extreme comfort without excessive heat build-up. This range of mattresses has been tested and endorsed by the Chiropractors' Association of Australia. Sleeping healthy is easier with Sleepy's and the CAA collection! Your sleep will benefit if you can find ways to reduce tension and this is why Sleepy's and SleepMaker have collaborated for more than 10 years on our exclusive Chiropractic Collection. If your current mattress is placing stress on your back, hips or shoulders, our Chiro Aspect range, which has been tested and endorsed by the Chiropractors' Association of Australia, may be your answer. The spring support is an Australian made 5 zone pocket coil spring to provide individual support and reduce motion transfer providing you with an undisturbed sleep. The comfort layers include Gel Infused Visco and Graphene Memory Foam both of which whisk heat away and provide immense comfort and support without excessive heat build-up.